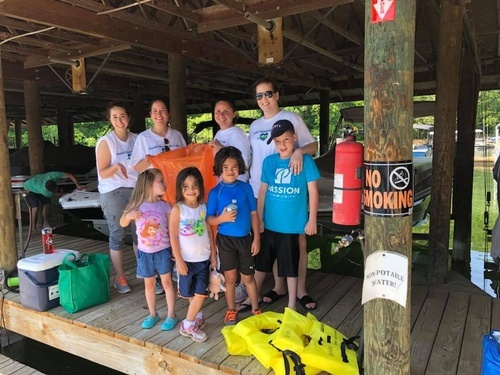 Volunteers are needed for the 32nd Annual Take Pride in Smith Mountain Lake, a community-wide effort for those who use and enjoy SML to work together to keep it clean! Quick and easy ONLINE registration this year at TakePrideSML.com. We provide trash bags, gloves and a free T-shirt to those who pre-register by May 3 (while supplies last). You'll also be invited to a fun volunteer appreciation event on May 22 at Mango's Bar & Grill with great food, music and door prizes! Choose to participate in any/all of these Take Pride events or organize your own with family and friends. Individuals and groups may also plan their own cleanup events anytime in May. If you have a large group and would like to be considered for up to $400 in dumpster and landfill reimbursement, please visit TakePrideSML.com. TPISML is organized by a committee made up of representatives of three lake organizations: Smith Mountain Lake Association, Smith Mountain Lake Regional Chamber of Commerce and Tri-County Lakes Administrative Commission.